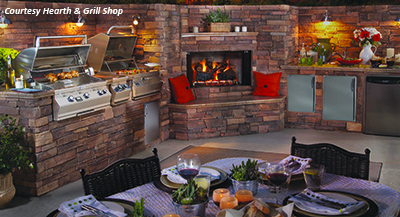 Outdoor living invariably brings to mind outdoor kitchens, according to industry experts. 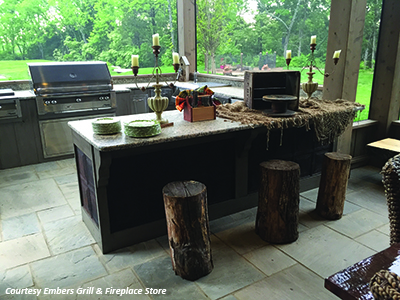 “They are now ‘must-have’ addition to any home,” says Crystal Watson of Embers Grill and Fireplace Store. 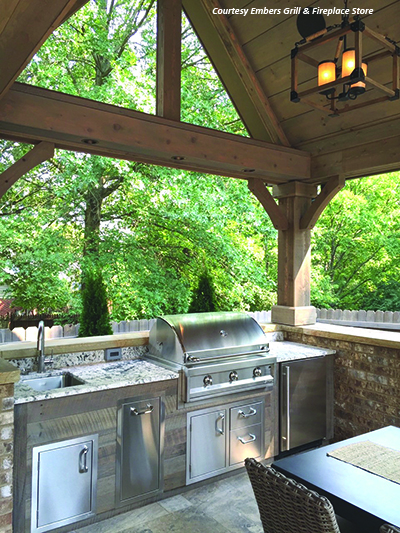 Carol Sullivan of The Hearth & Grill Shop says, “What better way to celebrate Middle Tennessee’s weather—even in December last year—than to enjoy outdoor dining?” She adds that with an outdoor kitchen a homeowner can eliminate running in and out of the house with food for guests. “Your outdoor kitchen can be anything you want it to be,” she adds. Today’s outdoor living focuses on creating a versatile space usable for cooking, entertaining, recreation, and relaxation. 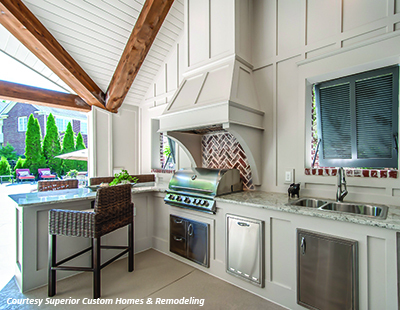 While outdoor kitchens revolve around the grill, Sullivan reports that adding components varies from customer to customer. “Power burners are a popular option for cooking foods that produce a strong odor. Believe it or not, not everyone enjoys the smell of bacon wafting from their indoor kitchen. The goal, McKinney adds, is to make any outdoor space look as though it’s always been in place. “Granite countertops are popular because they can withstand seasonal temperature changes,” she reports. Simple outdoor kitchens can range from a straight line 8-ft. a structure that incorporates a few appliance elements all the way to a U-shape design that is a fully functional kitchen with seating, says Watson. 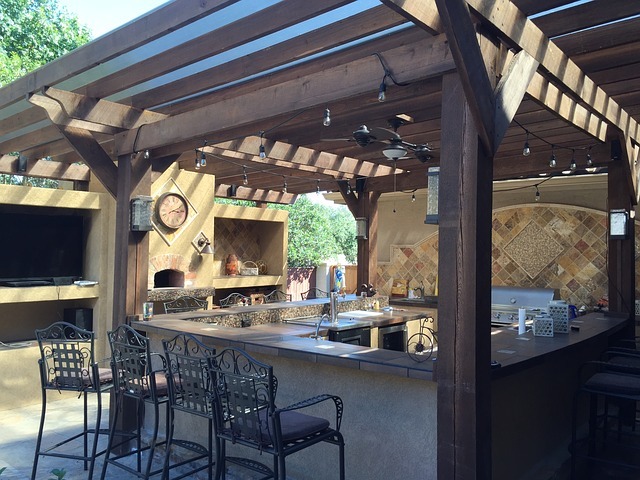 “Those who invest in outdoor kitchens are entertainers,” according to David Reed of NiteLiters. “That is, they entertain a lot. And one concern they have is lighting the outdoor kitchen space without putting an outdoor gathering on display to neighbors or passersby. 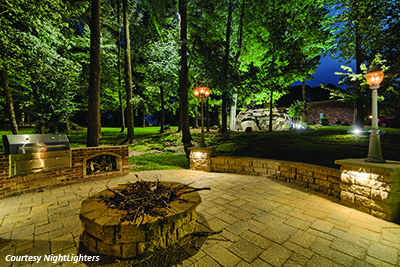 Setting the mood through lighting so the homeowners can sit and enjoy their surroundings is our specialty,” he says. Outdoor kitchens are a great way for families, friends, and neighbors to connect and enjoy two great traditions of food and relationships.